All the best things in life start with frosting, right? By Gina Tomaine and Madison Cassel·	 3/14/2019, 8:00 a.m. 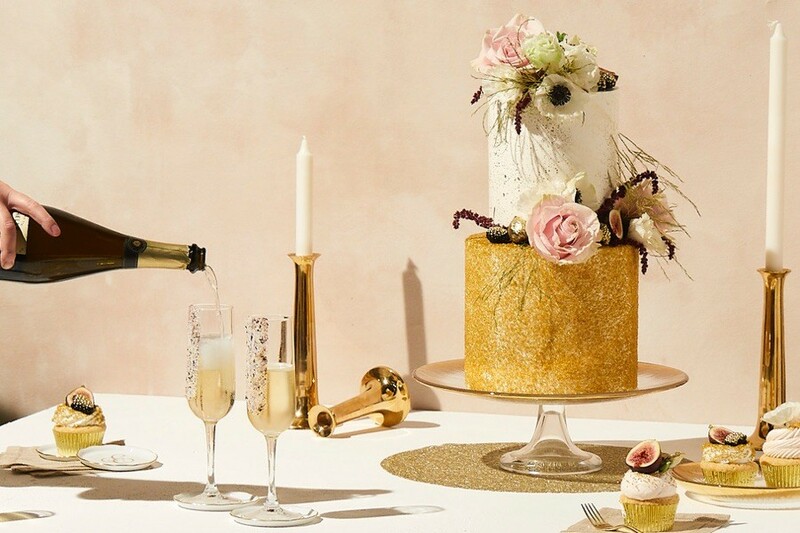 Whether you want a towering buttercream cake, a trendy near-naked tiered cake with fresh, vibrant florals or a delicate gilded creation, you can find the perfect wedding cake for your celebration here in Philly. All of these local bakers and bakeries put couples’ needs (and cake dreams) first and strive to create a beautifully scrumptious creation that you and your guest will love. 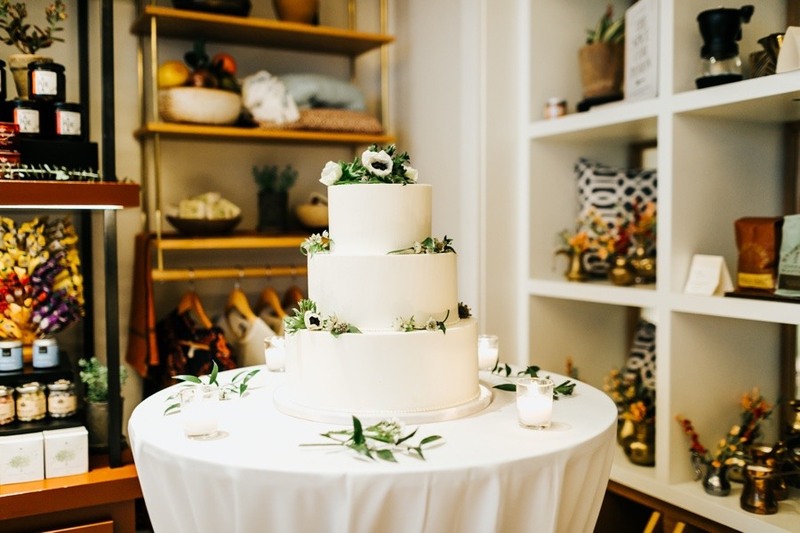 Here, we’ve rounded up some of the best bakers and bakeries in the Philadelphia area, so that you can find a confectionary masterpiece that will make your wedding day even sweeter. From creations with intricate and vibrant fondant florals to cakes with metallic and sugary rock candy designs, Cake Life aims to please — and also impress. Best friend owners Lily Fischer and Nima Etemadi started Cake Life after leaving other careers and the shop has been thriving ever since. After appearing on Food Network’s Cupcake Wars three times, including two championship episodes, it is clear to see that these two pastry chefs know how to bake. If you would like to see for yourself what these two can do, schedule a cake tasting and taste firsthand confectionary creations that you and your guests will love. Featured not once but twice in Martha Stewart Weddings, this little bake shop is definitely worth the hype. The signature cake design leans on the more modern and minimalistic side, but your custom order will always be to your liking. From delicate, edible gold leaf accents to textured marbled industrial designs, Nutmeg aims to please and strives to indulge. Even if you are a gluten-free bride, they can make cakes with almond flour so that you won’t miss out on any their beautiful bakes. If you want to get your wedding cake at Nutmeg, be sure to give them a five to eight month notice to create your dream dessert. It’s not so much baking as it is making edible art. Inspired by texture, fashion, watercolors, and nature, Amy’s Sweet Bake Shop brings creativity and insight into every delicious treat. Weddings are about elegance and beauty, and Amy’s embodies that with their gold leaf accents and floral designs from a local florist. Each cake is made to order so you can expect high quality and freshness with every purchase. 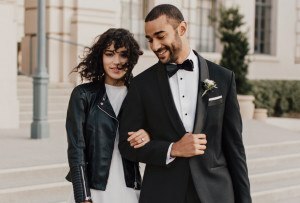 Couples should aim to schedule their order a month in advance of their Big Day in order to give Amy enough time to craft one of her signature creations. 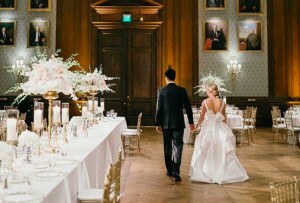 Whipped has acquired quite a bit of fame including features in Brides Magazine, Best of Philly winner for Best Cupcake, and named one of the top pastry pros in America by Martha Stewart Weddings. Artist Zoë Lukas designs these famous cakes and her intricate and inspiring patterns are sure to captivate you. May to June and September to October are their busy seasons, so be sure to book your wedding cake at least three to six months in advance. But first, check out their website to schedule a cake tasting. Friday movie night cake vibes. Vanilla bean cake layered with butterscotch caramel, rum buttercream topped with house made butter toffee popcorn! Whether you want the classic white, multi-tiered cake or a more modern selection, Clara’s Groovy Deliciousness can create exactly what you want. 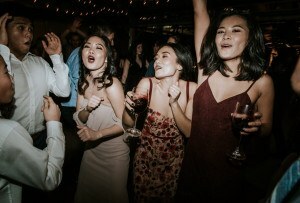 (They’ve also got bragging rights from competing on Food Network’s spring baking championship, and creating the wedding cake for Taylor Swift’s best friend and maid of honor.) Schedule an appointment to come in and taste what they have to offer. After you taste your curated flavors, they will look through pictures with you and find the perfect inspiration for your cake. 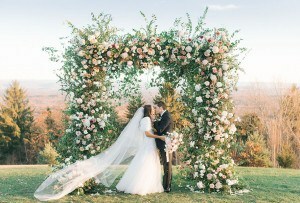 Make sure you start this process about six to nine months before your Big Day. Also, if you are looking for something besides a traditional wedding cake, Clara’s also does assortments of other treats, including a wall of donuts. 3580 Indian Queen Lane, East Falls. Passion is the secret ingredient at this little pastry shop. Lesly McDevitt, founder and head baker, adds a dash of care and love into every recipe she makes, especially in wedding cakes. Utilizing American style baking and the freshest ingredients, her designs are innovative, visually appealing, and most of all, delicious. Since The Sugary is a small shop, they are limited to the number of cakes they can make each wedding season. Therefore, it is best to reach out as soon as possible to schedule a tasting and to start designing your one-of-a-kind cake. They will also make you an adoralble six-inch replica of your wedding cake on your one-year anniversary (no charge)! Calling all Vegan brides: Crust is a 100 percent all natural and all vegan bakery! They utilize a buttercream base for their cakes and are free from chemicals and preservatives in their ingredients. 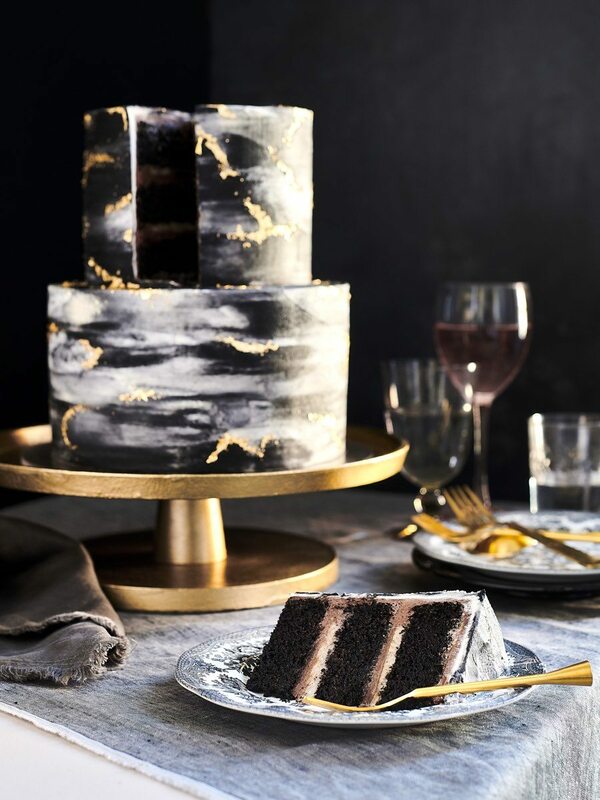 You can expect to find gold leaf, pops of color, or matte black on their signature cakes. The same care they put into their designs is also evident in how they source their materials and ingredients. They get their coffee made in Philly, they get their vanilla from Phoenixville, and they get their fruit from a farm in Philly. If this sustainable sweet shop sounds like a fit, make sure you schedule your wedding cake order at least 6 months in advance. If you have a dream wedding cake, then Sugar Realm is here to bake that dream into a delicious reality. Founder, Ileana Saldivia, aims to create stunning, delicious cakes. From hand-rolled chocolate panels to delicate sugar flowers, you can almost taste the precision and passion in each bite of a Sugar Realm cake. Baking these confectionary masterpieces requires a bit of time, so be sure to schedule your order 9 to 12 months before your wedding. 8126 Germantown Avenue, Chestnut Hill. As one of Philadelphia’s oldest bakeries, Bredenbeck’s history is almost as rich as their frosting. This family owned shop perfectly crafts cakes to every couples’ specifications. Besides cakes, Bredenbeck’s is able to bake an assortment of party favors for your guests that will surely satisfy a sweet tooth. As part of their excellent service, Bredenbeck’s will send a complimentary wedding cake replica to you for your one year anniversary. Stop by their shop to check out their cake selections, and while you’re there try a scoop or two at their ice cream parlor. Cherry Hill and Suburban Station. With a staff of more than 75 skilled bakers, decorators and support team, this bakery abounds with passion and dedication. This dedication manifests itself in the care they put into crafting each cake and the support they give to each individual client. They provide complimentary consultations and tastings and work closely with couples to ensure that each cake is exactly to their liking. Head on out to Cherry Hill or visit their new location at Suburban Station. 310 S 48th Street, West Philly. After honing her skills at the Art Institute of Philadelphia, The Fancy Crumb founder, Briana Green, opened her own bakery right here in West Philly. The Fancy Crumb’s signature design element is the use of slender and tall tiers that lends to elegant looking cakes, and all of their cakes portray a sense of movement that will be sure to entice you and your guests From artistic drips to edible glitter, Briana dazzles and awes with her one-of-a-kind cake designs. She even competed and won on the show Sugar Rush! On Netflix. You can book a cake tasting for just $40. Helmed by creative owner Angela Park, confectionary company Park Ave. Cake excels at infusing lovely botanical elements into your beautiful custom cake, as well as including skilled detail work. For other treats to try, we highly recommend the natural rose and saffron flavored lollipops, which taste as good as they look, and also make fun treats for guests at all types of events. 7723-25 Germantown Ave, Chestnut Hill. 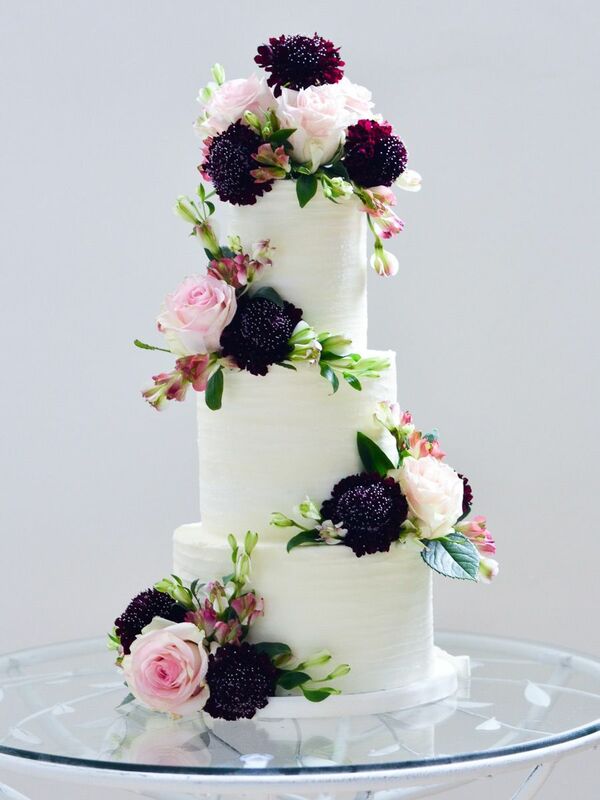 When it comes to design, Night Kitchen Bakery ensures that each cake will match each individual wedding’s aesthetic. And if you opt for a multi-tier cake, Night Kitchen tends to bake a different kind of cake and filling for each tier, that way one can cake can please all guests. In addition to scrumptious baking techniques, Night Kitchen is also known for their sustainable business practices and are even certified by the Green Restaurant Association. If interested in what Night Kitchen Bakery has to offer, make sure you place a cake order 3 to 6 months in advance. 319 West Gay St, West Chester. The Master’s Baker is known for their delicate, specially crafted buttercream roses. They’re also still able to accommodate vegan, dairy-free, soy-free and gluten-free. (They even make their gluten-free flour in-house with 7 different flours combined into one!) Make sure you meet with the bakers 2 to 8 months prior to your wedding to reserve your cake. Oh by the way, remember that five-tier Eagles wedding cake that went viral in 2018? Yeah, that was an original Master’s Baker creation. These bakers have a design aesthetic which ranges from classic style to colorful modern or floral-filled designs if that is what the couples want. They even do stunning watercolor paintings on the side of your cake, which gives guests a wow moment they won’t forget. They try to accommodate all dietary restrictions and tend to need 3 to 6 months notice to start crafting wedding cakes. Graduate Hospital and Bryn Mawr. Can’t have dairy? No problem. Don’t eat gluten? No worries. Sweet Freedom is an all allergy-free bakery, so no matter what your diet entails, they will craft you something safe and scrumptious to eat. Sweet Freedom only uses non-GMO ingredients and exclusively sources their products from reputable sources. Therefore, the same care and passion they bring to their everyday treats they will also bring to your wedding cake. Try some samples at either their South Street or Bryn Mawr locations. 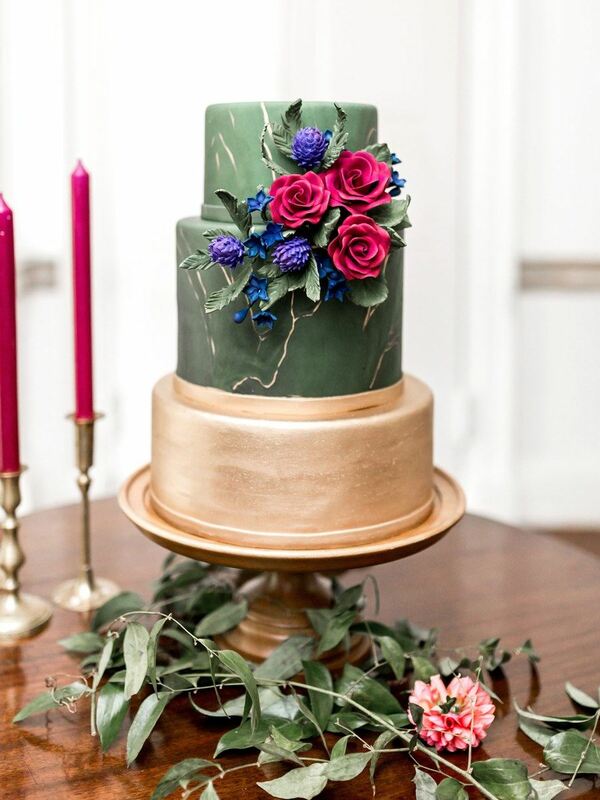 From fondant to cake lace, to metallics, to buttercream, this place seems to do it all. The shop has specialized in buttercream-heavy designs and have recently focused on a particular style of buttercream flower called the “Korean Style Buttercream Flower,” which is edible, delicate, translucent, and more realistic looking than typical wedding cake flowers. The shop tends to bring couples in for a cake tasting three to six months prior to their wedding date. After bingeing on cake samples, maybe try a Netflix binge of the show Sugar Rush! The winner of episode 3 is none other than the owner of Frosted Fox, Jennifer Low!. 407 Dickinson St, South Philly. What started out as a food truck in 2013 has since evolved into a full-fledged bakery that sells yummy treats, caters events, and designs wedding cakes. Marcel and Brittany, founders of Milk + Sugar, are huge fans of the non-traditional and that is reflected in their gorgeous, modern cake designs. That being said, if wedding cakes aren’t your thing, they can provide a variety of sweets such as wedding cupcakes, brownies, or cookies that are sure to please you and your guests. There is something mesmerizing about watching Termini Brothers fill the cannolis at Reading Terminal Market. As it turns out, Termini is so much more than zeppole, sfogliatella, and other Italian pastries we can’t pronounce. Termini Brothers has been in the wedding cake business a long time and has perfected their craft over the years, with a lot of family tradition steeped into it. You can set up a wedding cake consultation via their website. 405 Bloomfield Drive, West Berlin. Since Diane’s is a Kosher bakery, they are used to designing cakes around unique diets. Whether you are gluten-free, nut-free, vegan, or dairy-free, this patisserie will try to accommodate all palettes. With a background in French-style baking, Diane’s designs each cake with a classic and elegant feel. 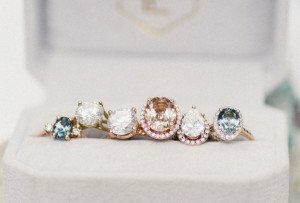 This care for their design and ingredients has won them several awards including several Best of Philly awards and Couple’s Choice award from Wedding Wire. The bakers here love to play around with design and create outstanding and one-of-a-kind confections. One of the signature design elements at The Novel Baker is the use of taller tiers, that stretch between 5 to 6.5 inches, and that bring a sort of drama to the entire cake design. 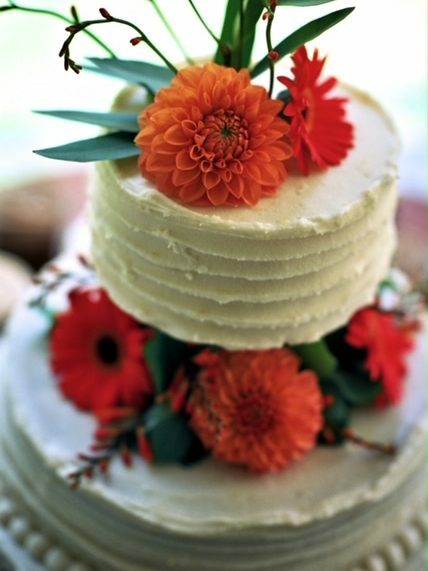 Additionally the bakers love to incorporate fresh florals into the cake composition. 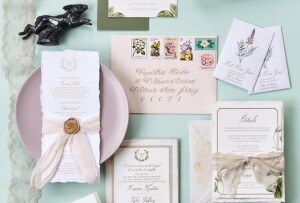 These elements are perfect for rustic, chic, sophisticated and all other types of weddings. They can accommodate most time restraints for wedding cake orders, but the earlier you get in touch, the better. 806 South 6th Street, Queen Village. 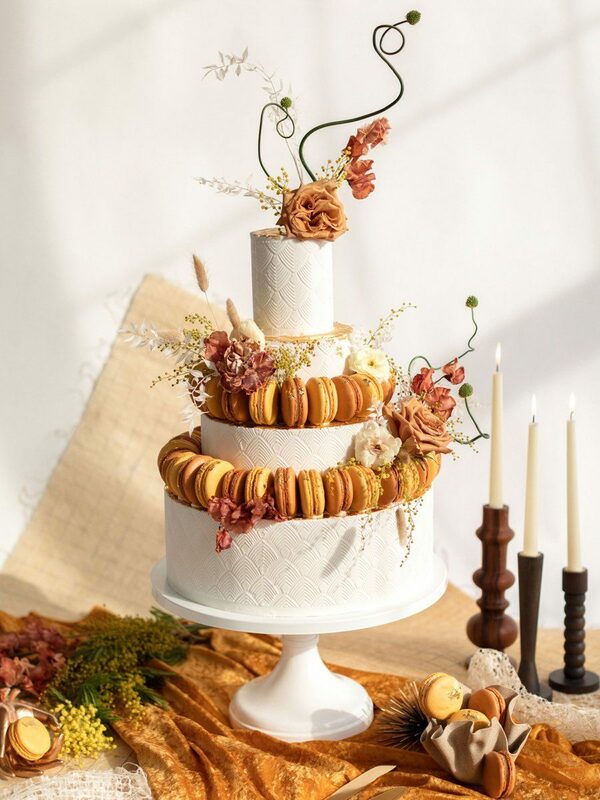 With design led by Carey Madden, founder, author and lead decorator (and an alum of famous Two Little Red Hens bakery in NYC) you can count on cakes with a layered abundance of carefully, hand piped buttercream flowers while keeping the overall design in your wedding’s color palette and aesthetic. (And yum: they source their delicious buttercream from an organic dairy farm in Lancaster County.) 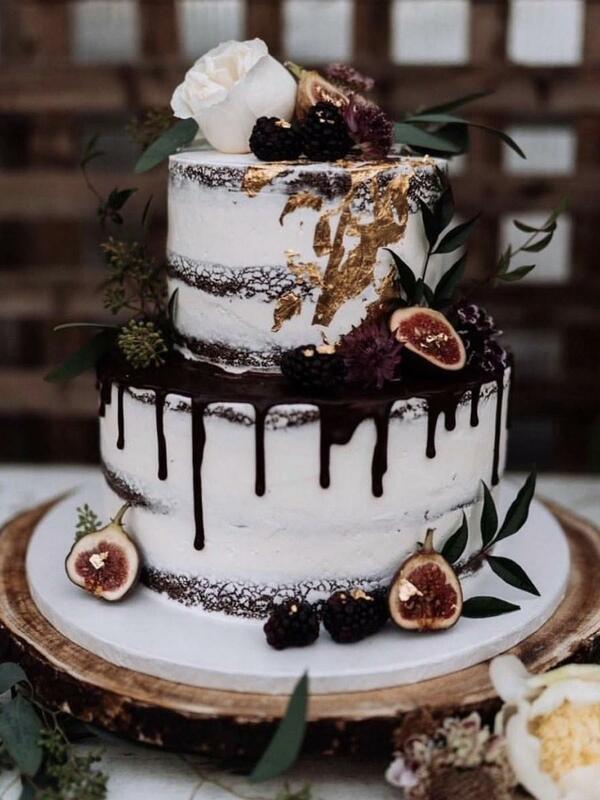 Even if you are a dairy-free bride or a bride who is not a buttercream advocate, Violet also makes specialty vegan and dairy-free cakes.